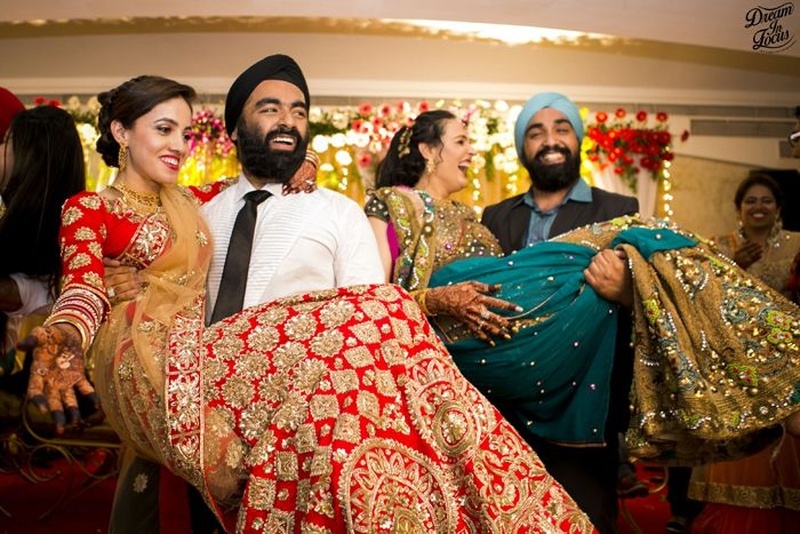 A beautiful bride, a handsome groom along with close friends and family – what else does one need to make a marriage memorable? 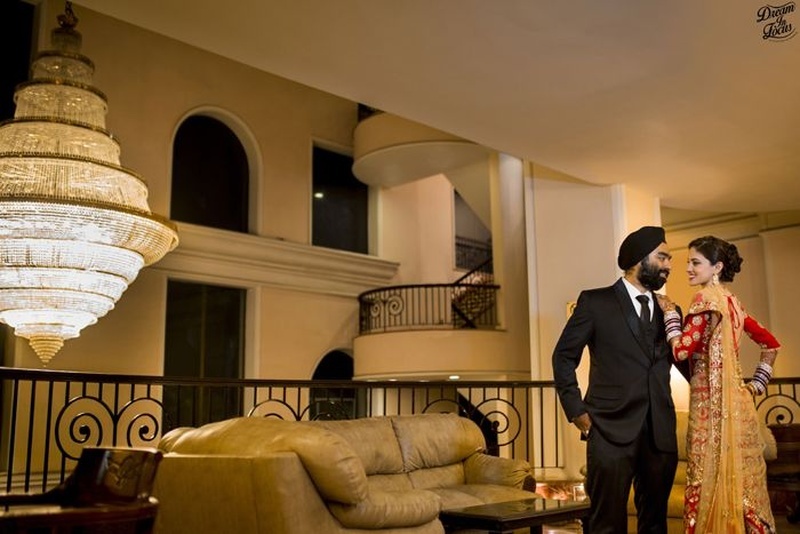 Well, Manpreet and Manan had all of this and more! 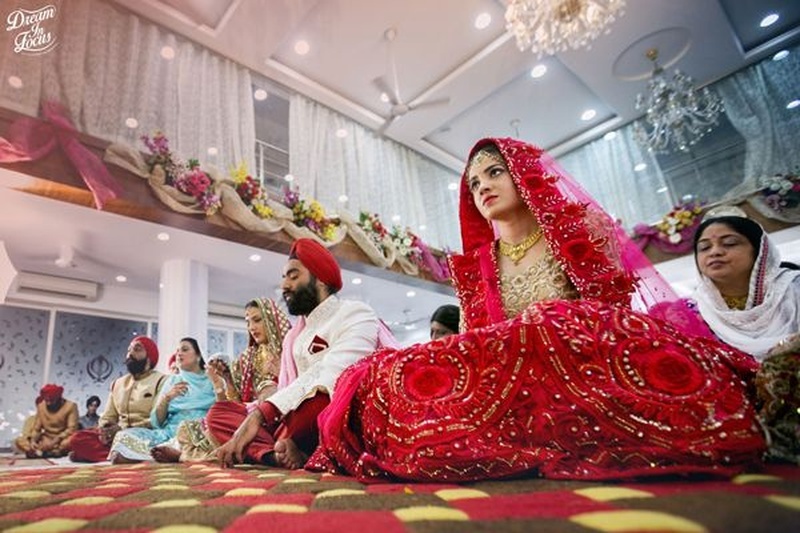 A wedding filled with reds, golds and classic carbon blacks, it turned out to be an extremely royal affair. 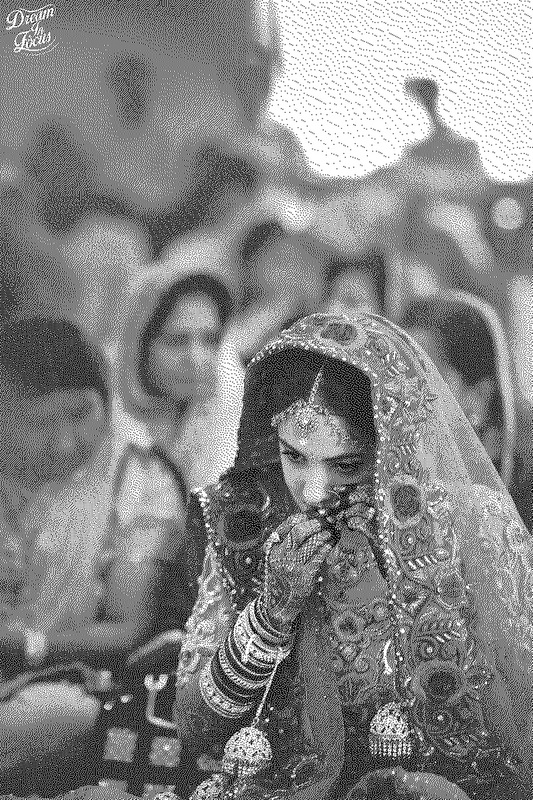 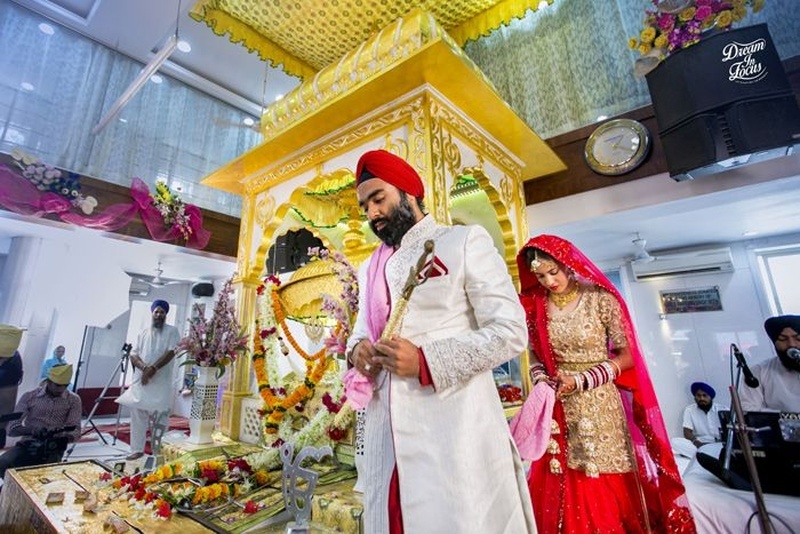 The serene premises of the Holy Gurudwara hosted the Anand Karaj ceremony of this ethnically-dressed couple. 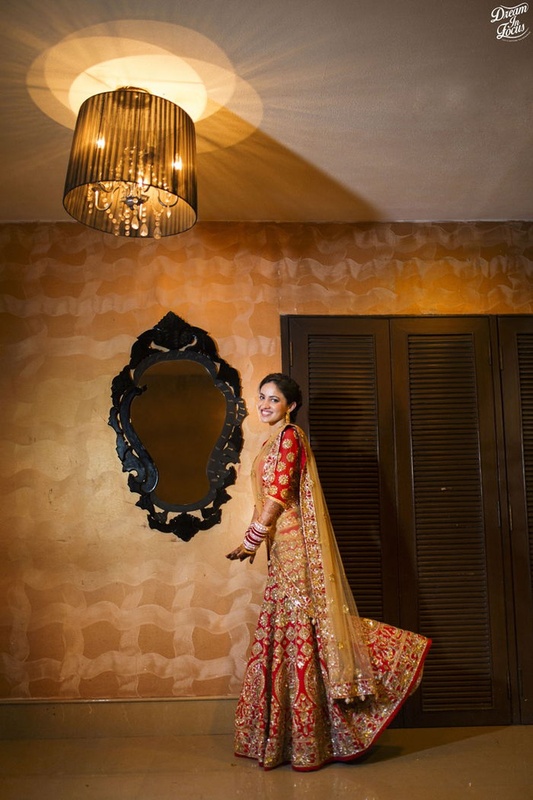 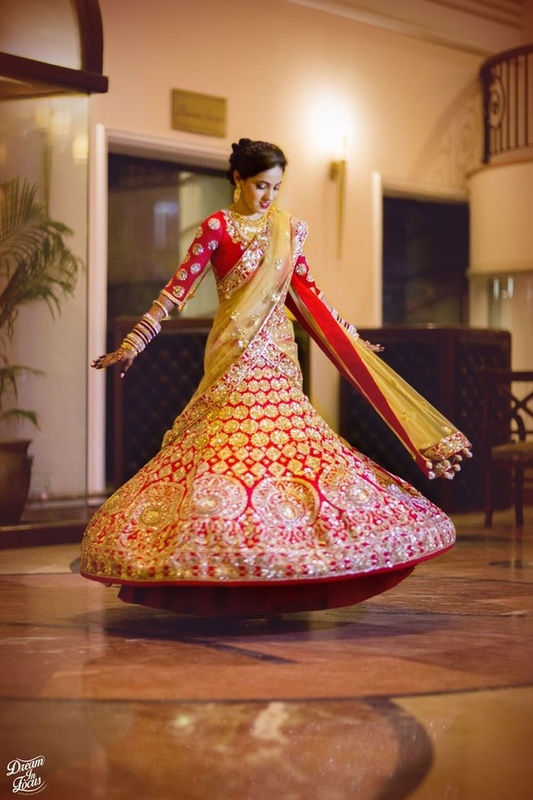 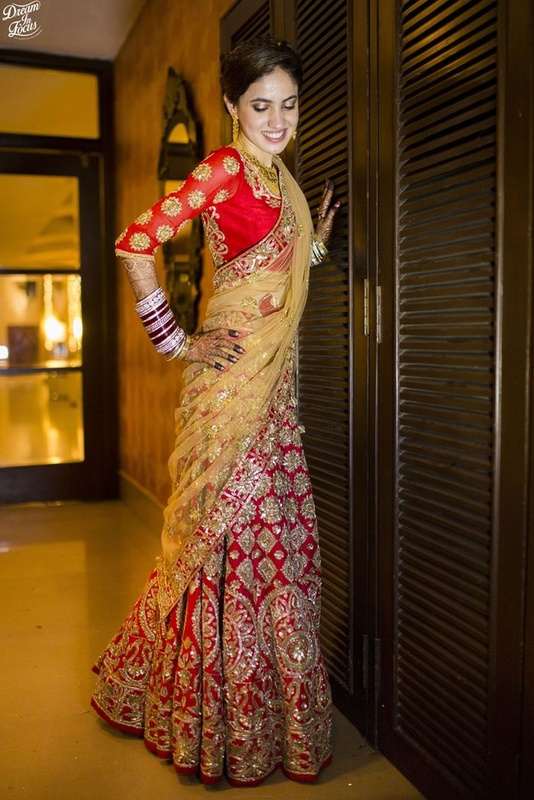 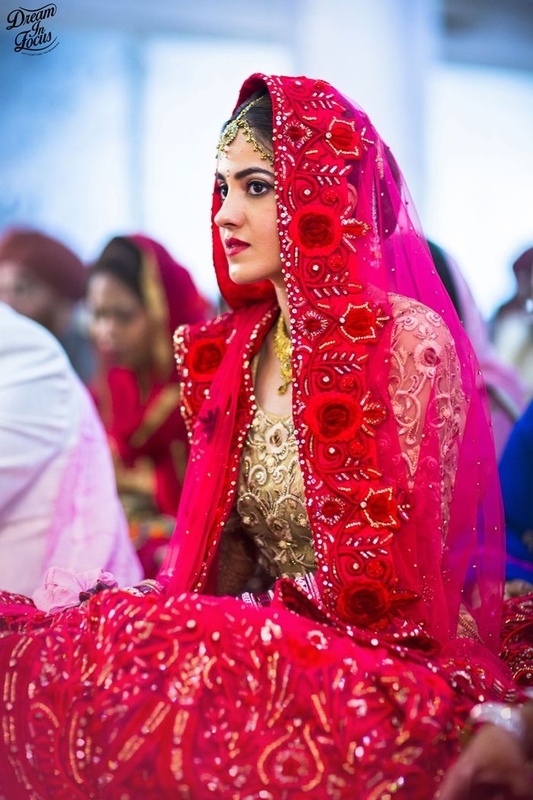 We love how this bride has taken a little detour from the usual red lehenga-choli and opted to wear a heavily 3D embroidered red lehenga and beige kurta embellished with sequins and stones. 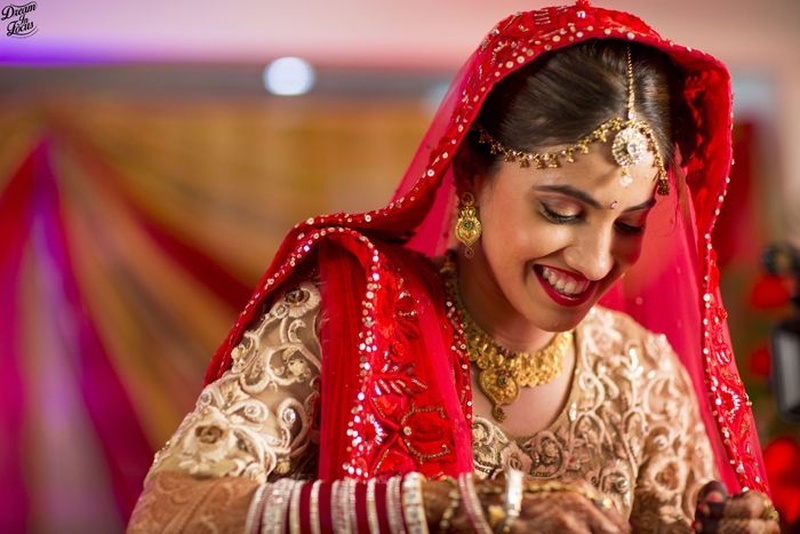 Her minimal bridal jewellery and dainty crystal-studded kaliras added the perfect touch of elegance to her entire bridal attire. 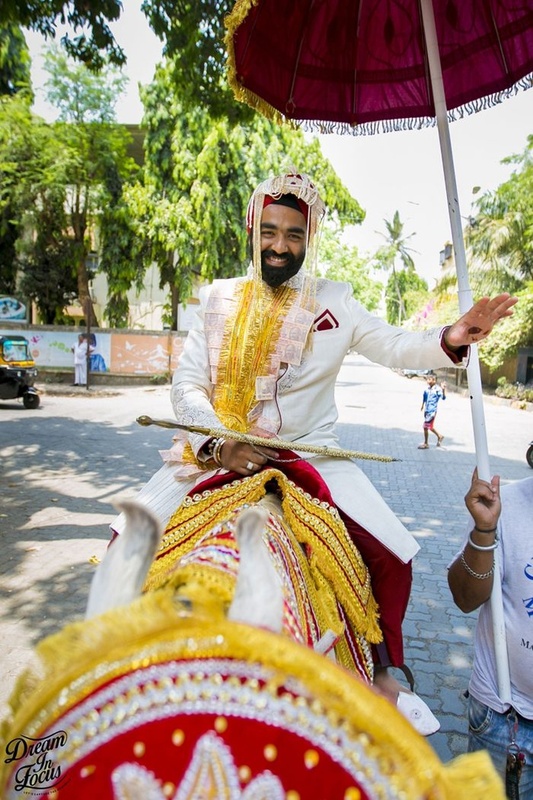 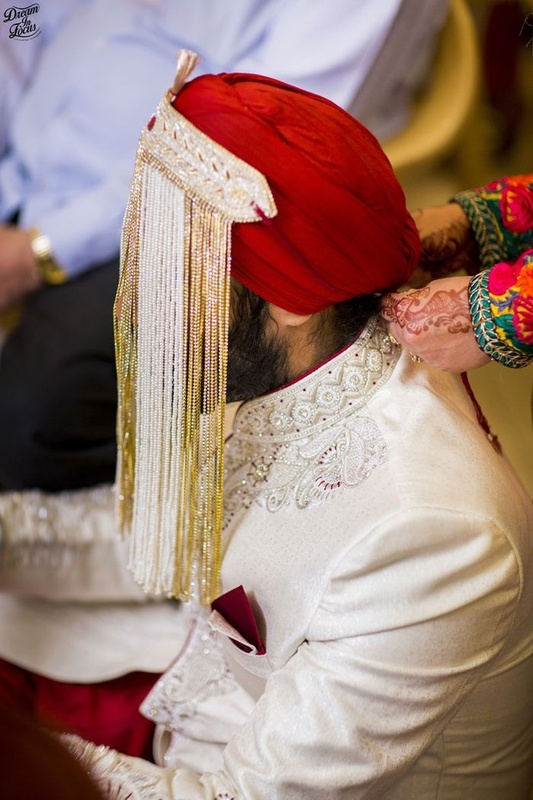 Her handsome groom donned a classic ivory sherwani with detailed self-embroidery, complimenting his beautiful bride perfectly. 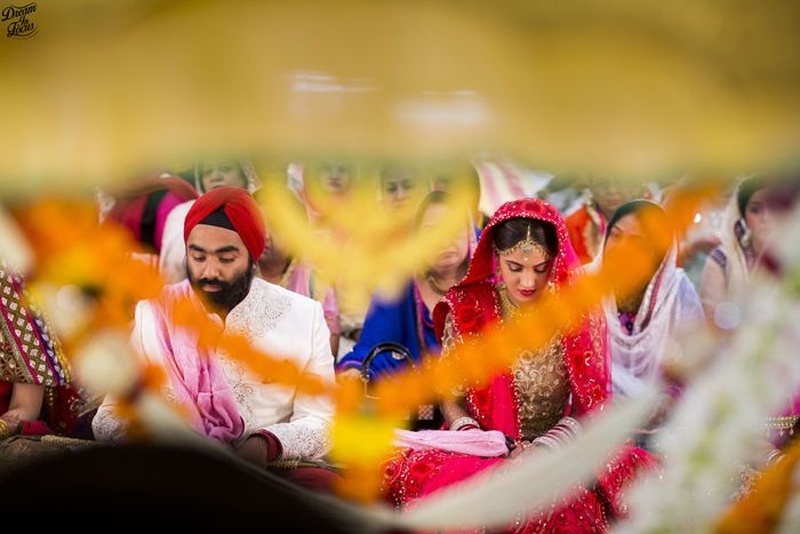 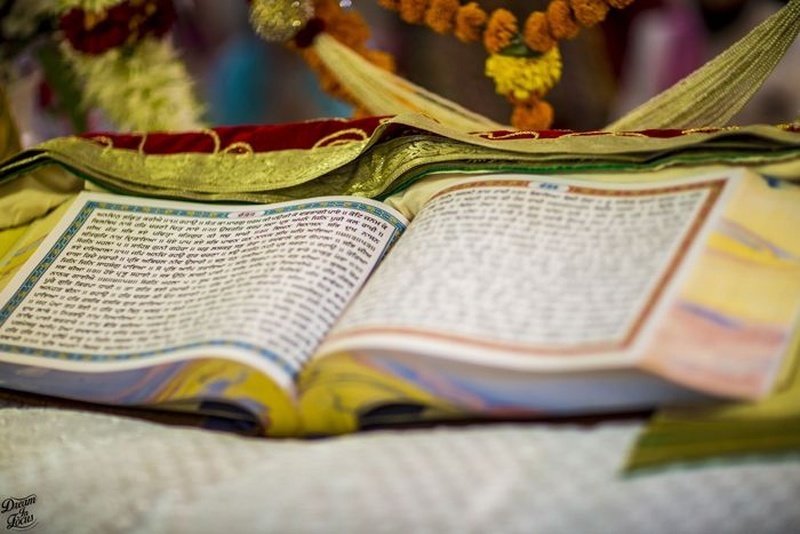 Together this couple held hands and circled around the Guru Granth Sahib, symbolising the vows to love and protect each other for generations to come. 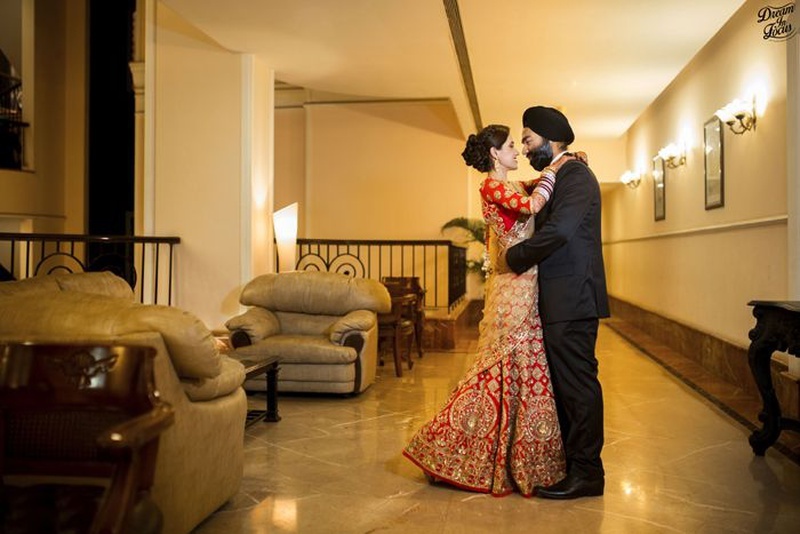 Once things were made official, this elegant couple danced and celebrated their new journey together with great ardour. 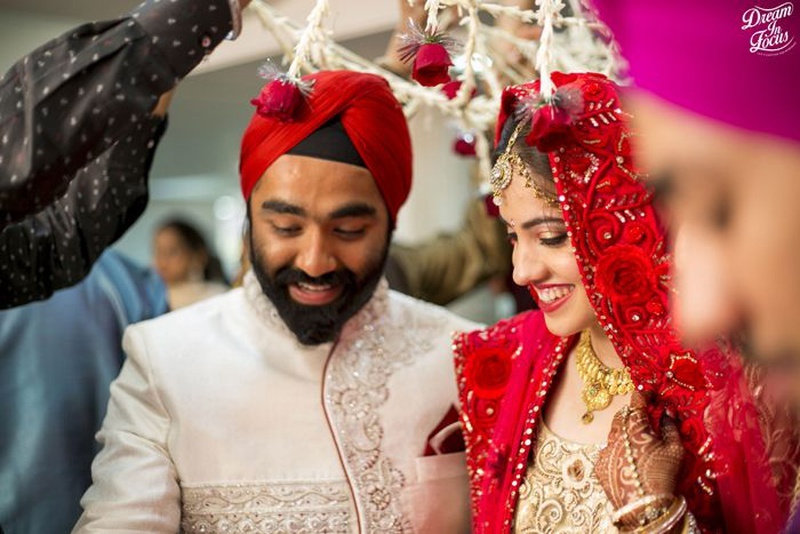 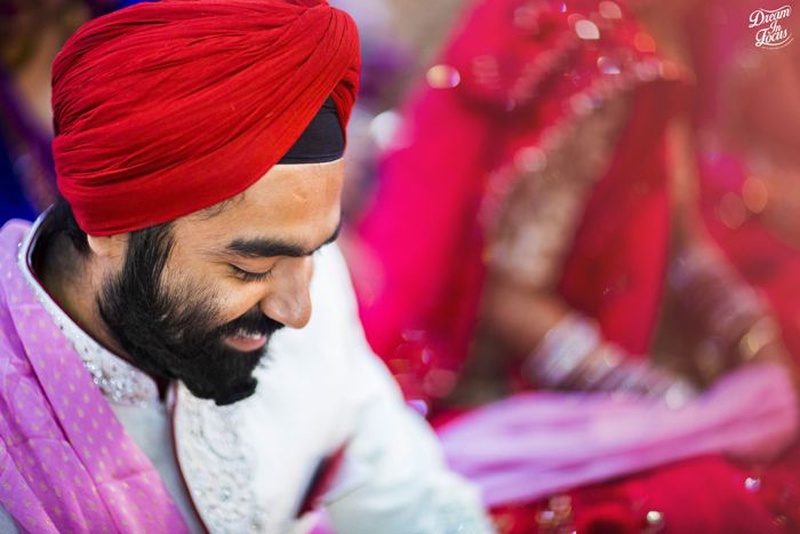 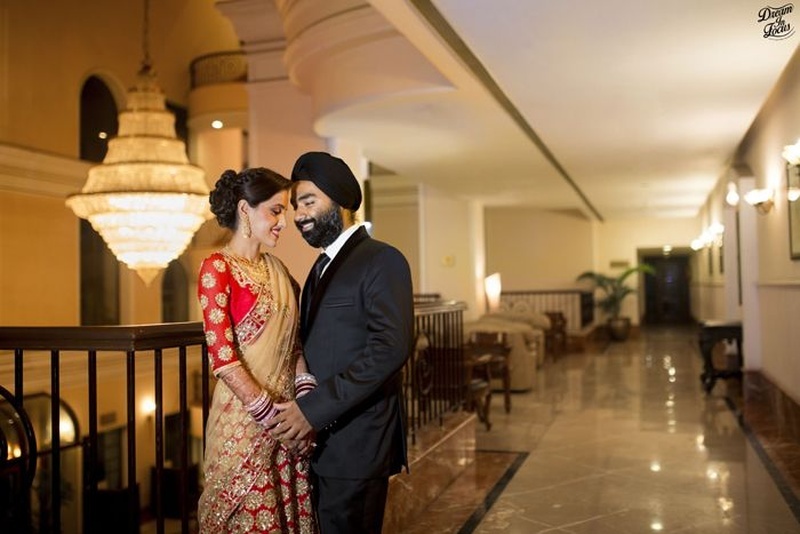 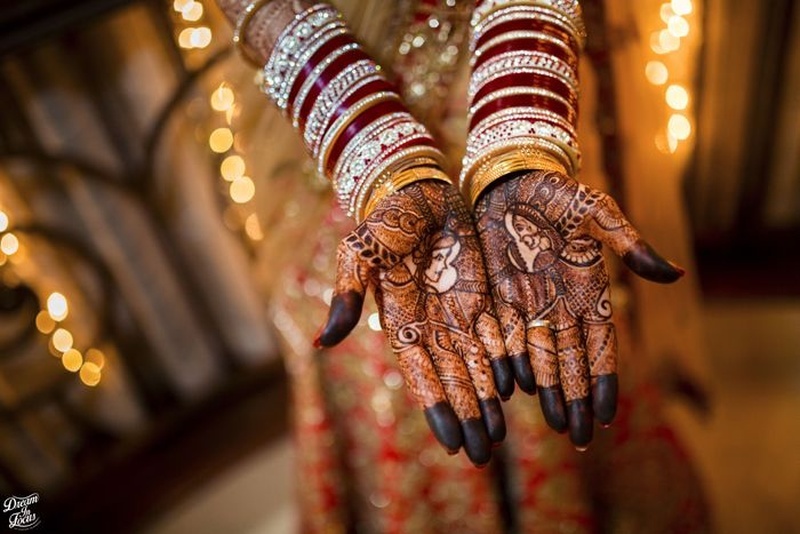 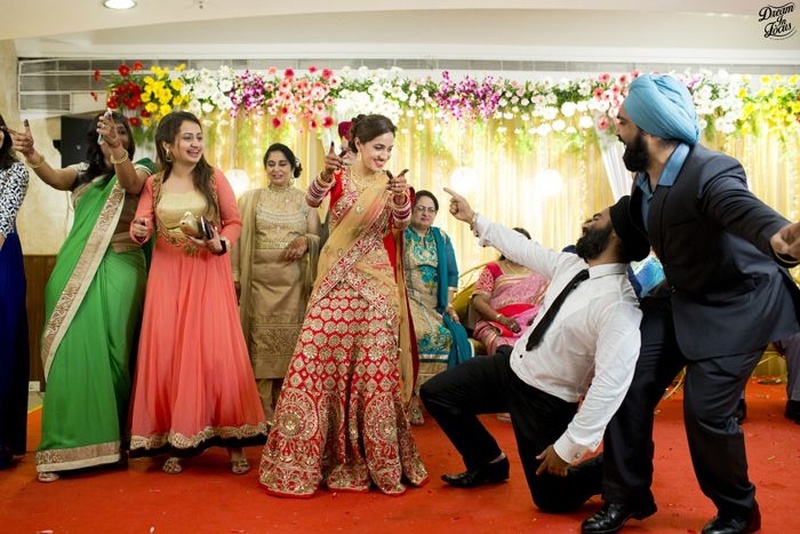 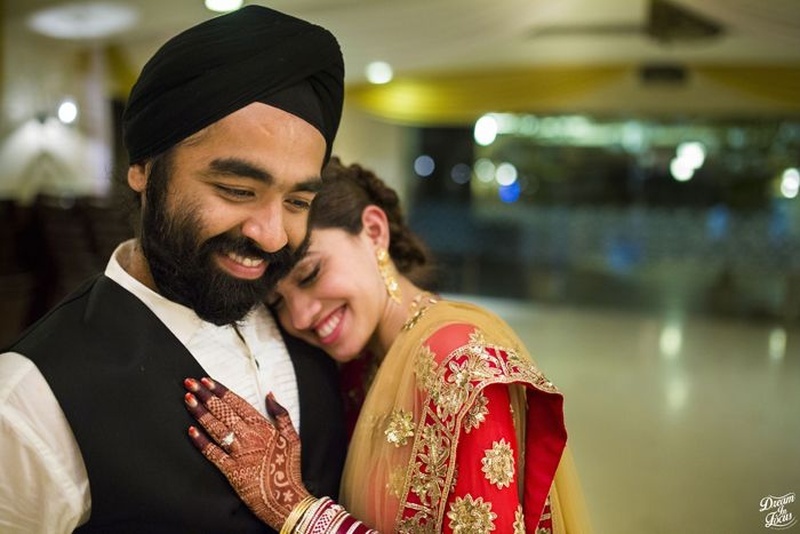 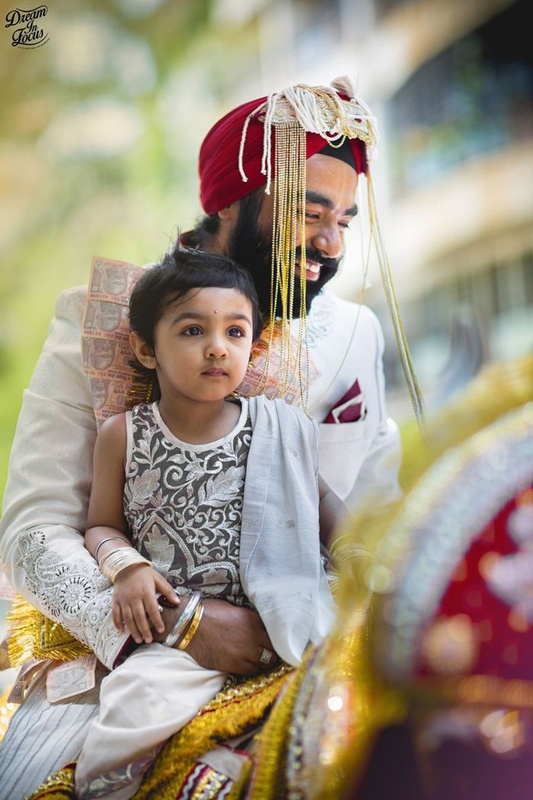 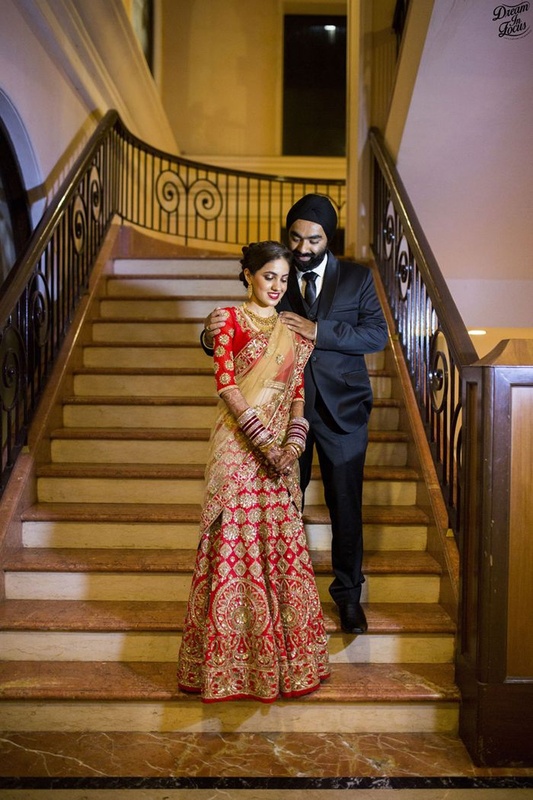 We loved each and every aspect of this intimate Sikh wedding from start to end, but the post-wedding photoshoot was the one we had our hearts swooning with joy. 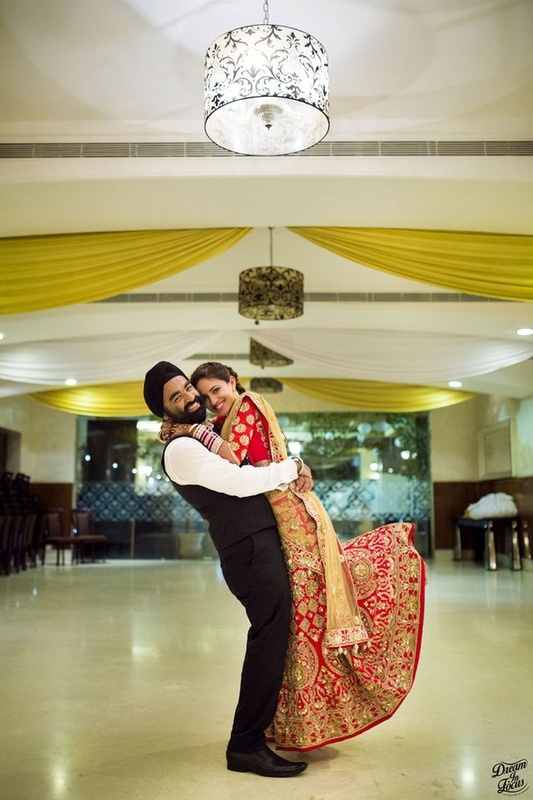 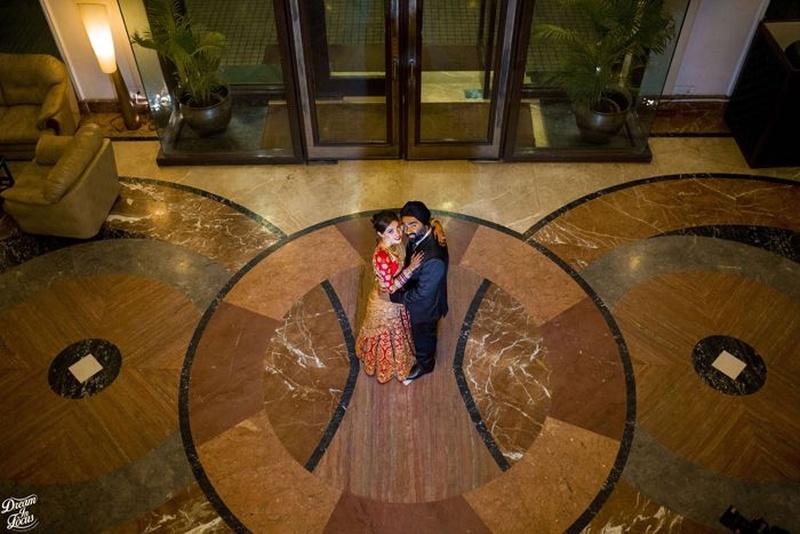 Every image shot by the team at The Dream in Focus, captures Manan and Manpreet’s love in its truest form.